Olive can't catch a break. However, she did catch her boyfriend cheating on her, she lost her job, and she stumbled into a portal leading to a secret carnival kingdom which she can’t escape. The good news? She meets an eccentric, but stunningly handsome knife thrower. The bad news? She can’t go home for another two months. The world she lands in is full of sideshow characters, terrifying amusement rides and her biological parents’ past. 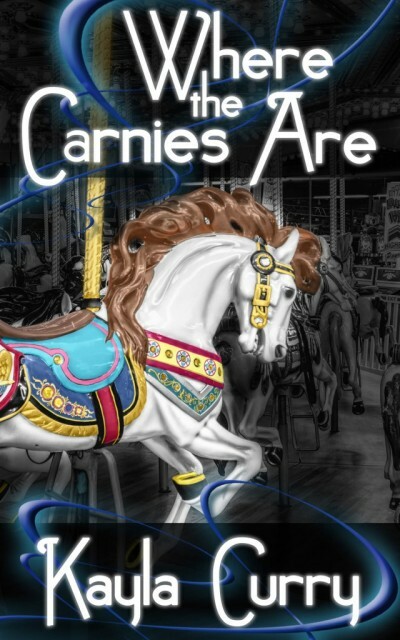 She was born a carny, but raised as a normal human. Magic lives in her blood, but hasn’t reached her heart. To find out who she really is, and why carnies are disappearing, Olive must deceive the king with the help of Alex the knife thrower.